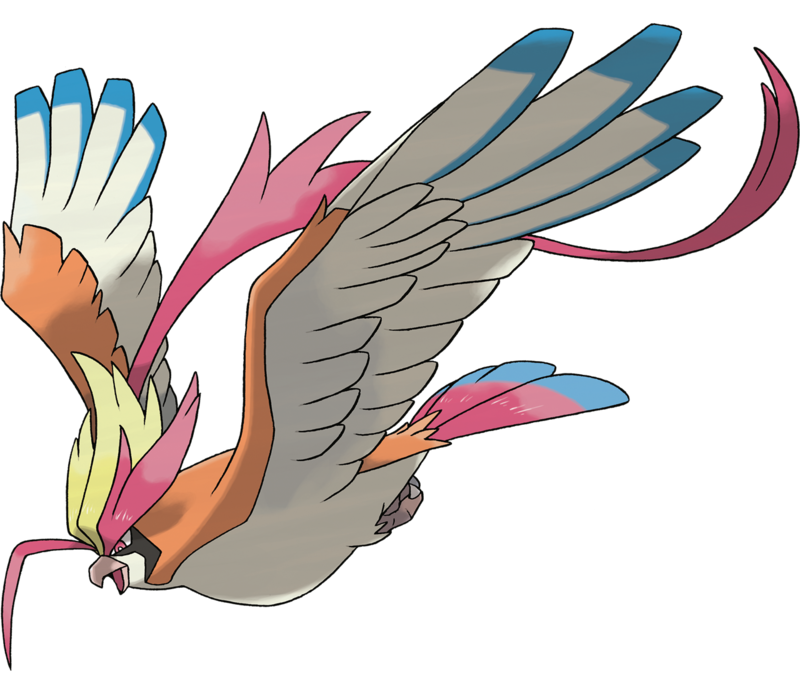 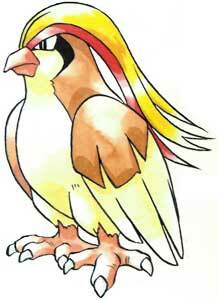 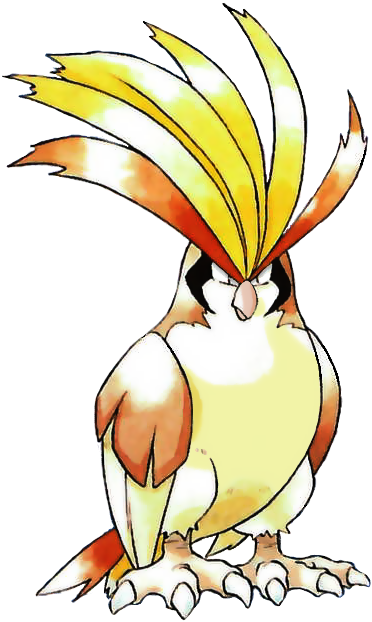 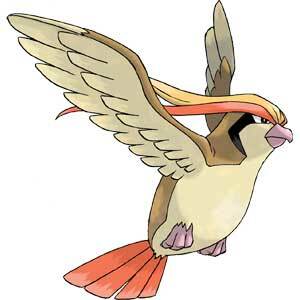 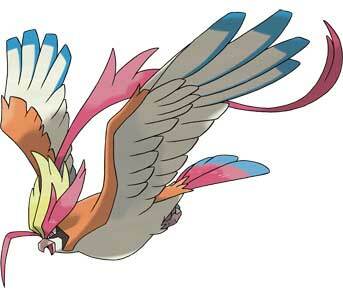 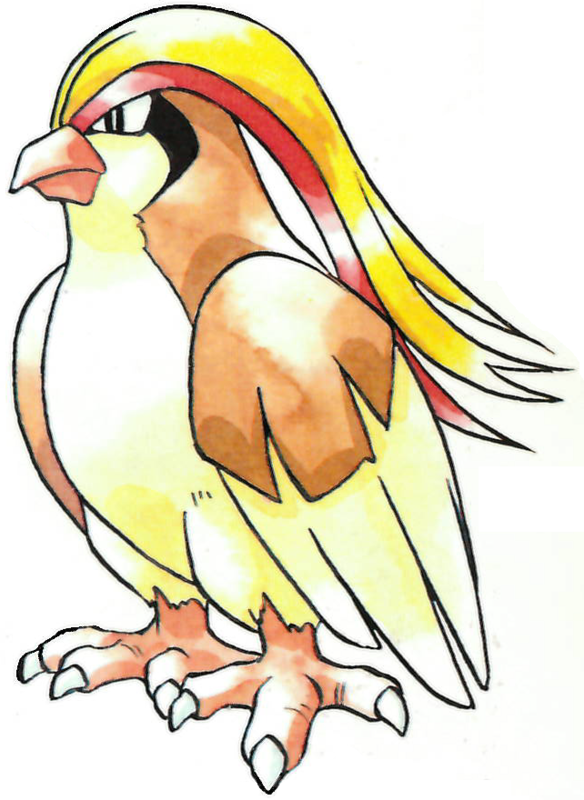 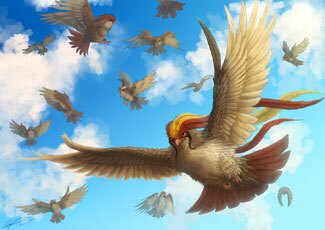 Pidgeot is one of the 151 Pokemon from the first Pokemon games, Pokemon Blue, Yellow and Red from 1996. 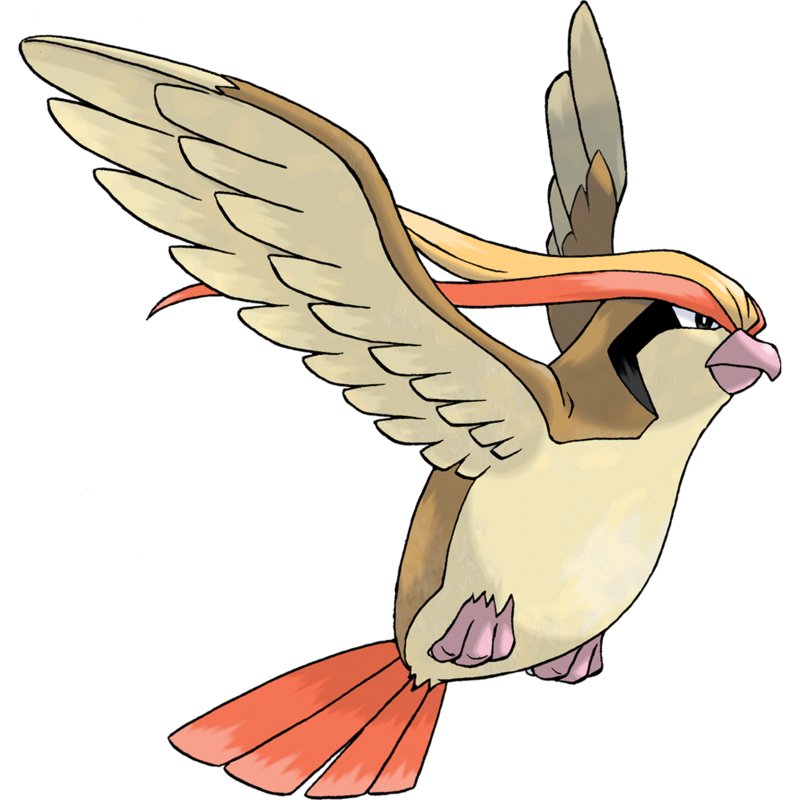 Pidgeot is a dual-type Normal/Flying Gen I Pokémon and the final form of the small Pidgey. 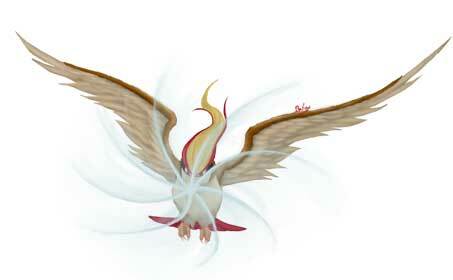 It has large wings, large talons and can use powerful attacks like the Hurricane and the Air Slash. 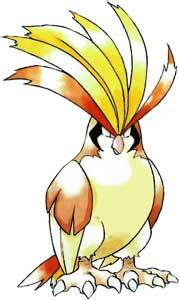 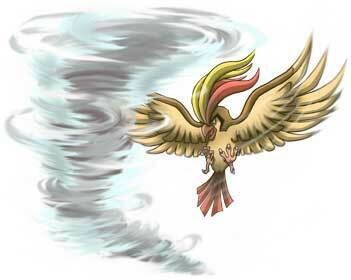 Since the Gen VI games it can evolve into Mega Pidgeot if a Pidgeotite is used.